Information and curiosities about space missions where Radio Science Laboratory is involved. 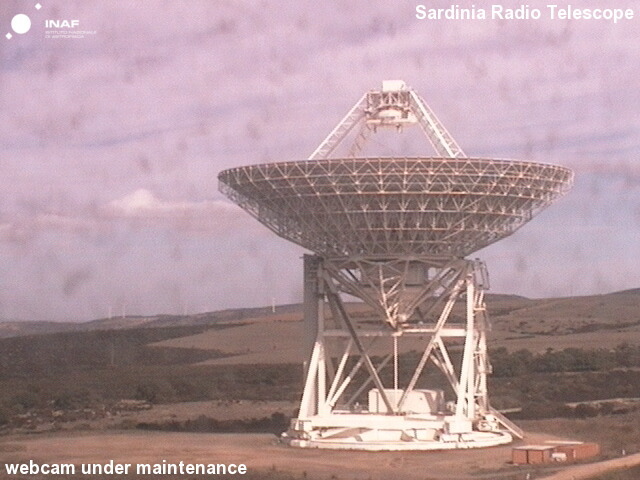 Communications with deep space probes of the European Space Agency are enabled by three 35 m diameter antennas, located in Cebreros (Spain), New Norcia (Australia) and Malarg�e, Argentina. The Malarg�e antenna became operational at the end of 2012. Mercury is the closest planet to the Sun, and the one reaching the highest temperatures (430�C at the subsolar point). Also its daily temperature variation is the largest among solar system bodies: more than 500�C between day and night. 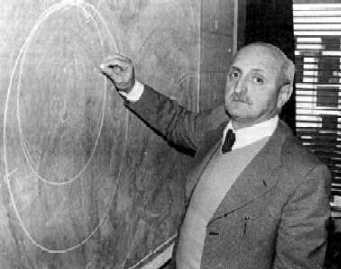 The BepiColombo mission takes its name from Giuseppe "Bepi" Colombo, the Italian mathematician and engineer who, in the past century, contributed significantly to the study of the planet Mercury. He explained the 3:2 resonance between revolution and rotation periods and showed how, with a small modification of the orbit, Mariner 10 could have two more flybys of Mercury. 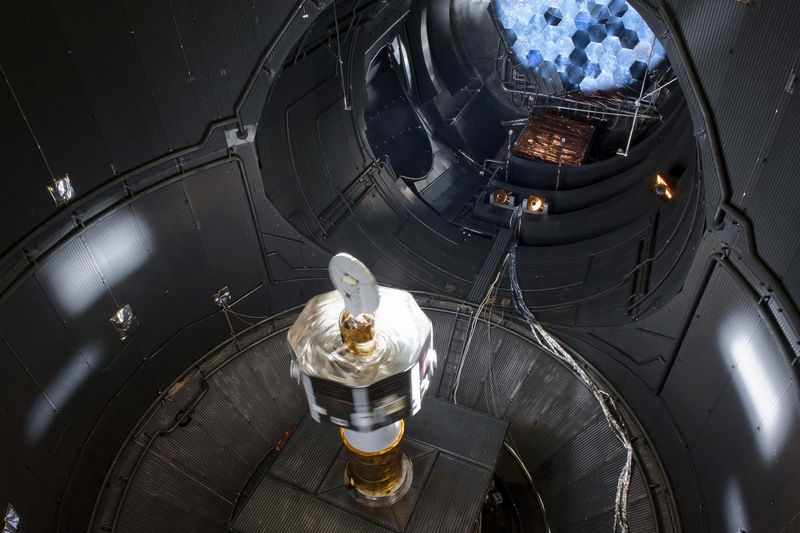 The Italian Space Agency (ASI) will provide the Bepicolombo mission with fundamental elements: the transponder (the heart of the radiocommunication between the Earth and the spacecraft) and four scientific experiments, including the radioscience experiment MORE. Radioscience is a technique for estimating physical quantities of scientific interest (e.g. the gravity field of a planet) by analyzing how these quantities affect the radio signals transmitted between the Earth and a spacecraft. 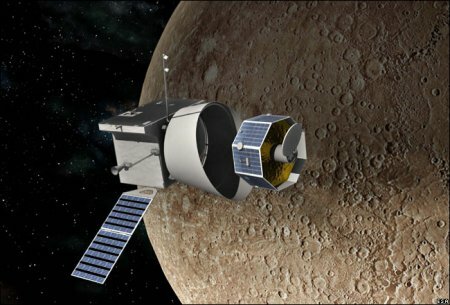 With the space mission BepiColombo, among the most challenging missions ever tried, Europe will launch a spacecraft to Mercury, to find answers to important scientific questions open since more than thirty years. Send telecommands from the Earth to the spacecraft, e.g. to modify the spacecraft attitude or to switch on an instrument on board (Commanding). Moreover, a high-precision communication system can be exploited to carry out scientific experiments (radioscience). Designing a spacecraft communication system is a very challenging task for space engineers. 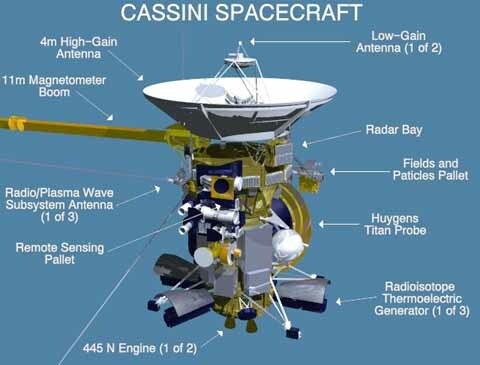 Such system has to be fully reliable throughout the whole mission, and capable to reach great distances: for example, the Cassini spacecraft is orbiting around Saturn, 1 billion km away from the Earth. On the other side, the communication system has to be light-weighting and operate with a few power. In general, power, weight and volume are scarce resources that need to be optimized among the instruments on a spacecraft. 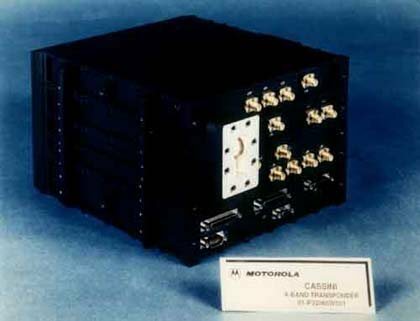 The heart of the spacecraft communication system is the Transponder (italian industries are world leaders in designing transponder for space missions). To communicate with the spacecraft, the ground station sends a high-frequency radio signal (the carrier), on which the commands are encoded. The signal propagates through the Earth's atmosphere and for millions of km in the interplanetary space; the spacecraft receives the signal, decodes the commands, encodes the telemetry data and re-transmit the signal toward the Earth. Within the radio-link, the frequency of the signal vary with respect to the nominal transmitted frequency, due to several factors. One is the Doppler shift generated by the relative motion between the Earth and the spacecraft: for example, if the distance between the Earth and the spacecraft is decreasing, the signal frequency will increase with respect to its nominal value. As we will see, the Doppler shift of the signal represents a precious information, both for orbit determination and for radioscience. Also the media through which the signal propagates (the Earth's troposphere and ionosphere, the solar plasma, etc.) alter the radio signal. In fact, the propagation media represent a noise source for space communication. Three frequency bands are internationally allocated for deep space communication: S-band (carrier frequency around 2GHz), X-band (around 7-8GHz) and Ka-band (around 32-34GHz). While the first NASA's space missions used S-band only, the need for better communication performance and more accurate radiometric measures lead the space agencies to move to higher frequency bands (X and Ka) during the years. 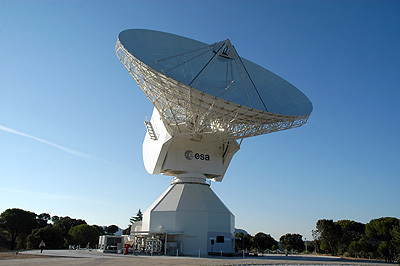 For deep space communication, the European Space Agency makes use of two 35m antennas, located respectively at Cebreros (Spain) and New Norcia (Australia). A third antenna is under development in Malargüe, Argentina. Also Italy is developing its own 64m antenna, Sardinia Radio Telescope, both for radioastronomy and space communication support. In the following articles we will talk about determination of a spacecraft orbit, which is also crucial for radioscience experiment. Discover where is now Cassini. This picture was generated with the NASA/JPL Solar System Simulator.